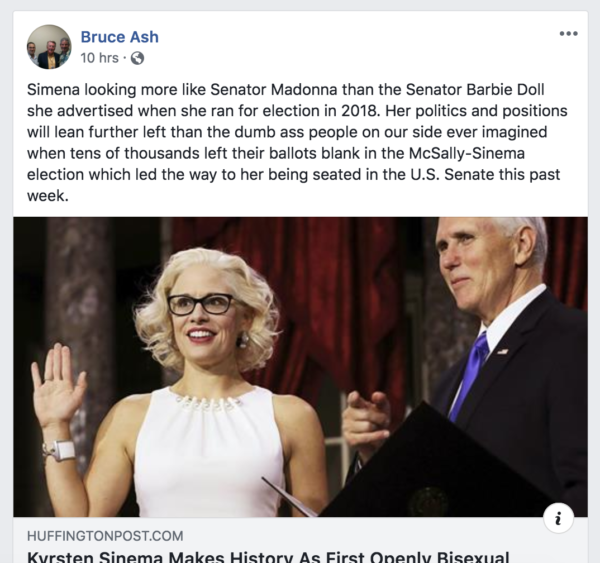 Kyrsten Sinema and Mike Pence. Photo via Washington Blade. 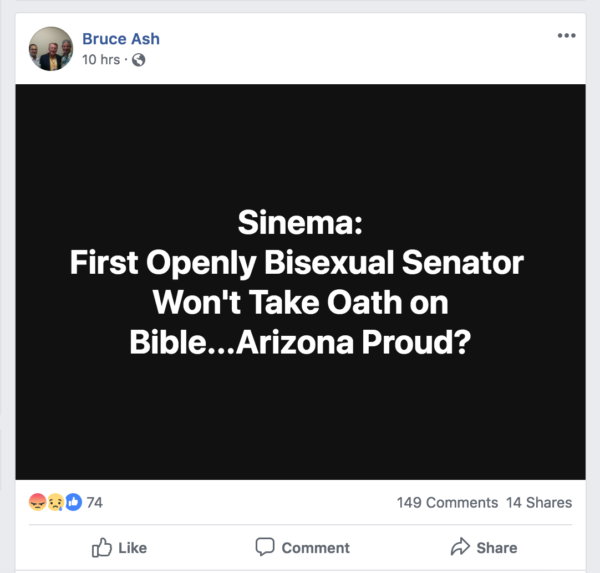 Elliot Imse, a spokesperson for the Gay & Lesbian Victory Fund, said Ash’s Facebook comments are similar to words used by President Trump and said the Republican Party should consider removing Ash from his position.